વિષય: જિંદગી અને તમે ! હું, ભગવાન – આજે તમને બે શબ્દો લખવા માંગું છું. ધ્યાનથી વાંચજો. આજે તમારી જિંદગીના બધા જ પ્રશ્નોનું નિરાકરણ કરી શકાય તેવો રસ્તો તમને બતાવવાનો છું. એટલું યાદ રાખજો કે મારે તમારી મદદથી કોઈ પણ જગ્યાએ જરૂર પડવાની નથી. હું તમારી પાસે સીધો આવવાનો પણ નથી. તમારે ફક્ત નીચેના મુદ્દાઓ યાદ રાખવાના છે અને એ મુજબ પાલન કરવાનો પ્રયત્ન કરવાનો છે. જિંદગી તરફથી એવી કોઈ સમસ્યા ઊભી થાય કે જે તમારાથી હલ ન થઈ શકે તો એને મારા નામની પ્રાર્થનાના પોસ્ટબૉક્સમાં મૂકી દેવી. 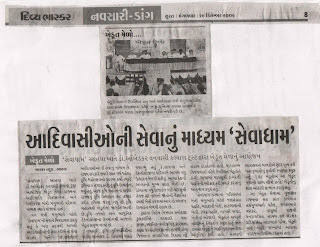 એના ઉપર – ભગવાનને માટે – એવું અવશ્ય લખવું. એક વખત આ બૉક્સમાં સમસ્યા મૂક્યા પછી વારંવાર એને બહાર કાઢીને તપાસ્યા ન કરવું.. એનું નિરાકરણ ચોક્કસ થશે, પણ હા, મારા સમયે, તમારા સમયે નહીં! તમે ધંધાની કોઈ આફતમાં ઘેરાઈ જાવ તો મૂંઝવણ ન અનુભવશો. ફકત એવા માણસોને યાદ કરજો કે જેની પાસે ધંધો જ નથી. ટ્રાફિકમાં ક્યારેય પણ ફસાવ તો અધીરા ન થશો, એવા લોકોને યાદ કરજો કે જેને માટે કાર ચલાવવી એ એક પરીકથાની વસ્તુ જેવું હોય. તમારા શેઠ કે સાહેબ તમને ક્યારેક ખિજાય તો એવા માણસોનો વિચાર કરજો કે જેમના નસીબમાં કામ કે નોકરી લખાયા જ ન હોય. જે સાવ બેકાર હોય. તમારો એકાદ રવિવાર કે રજા ખરાબ જાય તો દુ:ખી થવાને બદલે એવા લોકોનું સ્મરણ કરી લેજો કે જેને કુટુંબનું પેટ ભરવા માટે રોજેરોજ કપરી મજૂરી કરવી પડતી હોય. જેનો એક પણ રવિવાર રજાનો દિવસ જ ન હોય..
 ક્યારેક વાહન વગર ચાલવાનું થાય તો અફસોસના બદલે બંને પગે જેને પૅરાલિસિસ કે લકવો થયો હોય તેવી વ્યક્તિને યાદ કરજો. એમને એકાદ ડગલું પણ ચાલવા મળે તો એ લોકો કેટલો આનંદ પામે એનો વિચાર કરજો. તમારી જિંદગીએ તમને શું આપ્યું છે એવો વિચાર ક્યારેક આવે તો એવા લોકોને યાદ કરજો જે તમારા જેટલી ઉંમરે પહોંચ્યા જ ન હોય. એ પહેલાં જ જેને મૃત્યુ આંબી ગયું હોય. કોઈ તમારી સાથે ખૂબ જ ખરાબ વર્તન કરે , તમારું અપમાન કરે, તમને નુકશાન પહોંચાડે તોપણ ખુશ એ વાતથી થજો કે તમે એ વ્યક્તિ નથી ! કોઈ દિવસ અરીસામાં એકાદ સફેદ વાળ જોઈ જાવ તો કૅન્સરથી પીડાતાં નાનાં બાળકો કે નાની ઉંમરની વ્યક્તિઓને યાદ કરજો જે પોતાને વાળ હોય તેવી આશા રાખતાં હોય. હું તમારા બધા પ્રશ્નોનું નિરાકરણ કરીશ જ, વિશ્વાસ રાખજો પણ ત્યાં સુધીમાં જો તમને આ બાબતો ગમી હોય તો મારા મિત્રોને સગાંવહાલાંને મોકલજો અને એમનો દિવસ પણ સુધારજો અને એ લોકો પણ નિશ્ચિંત થઈ જાય તેવું કરજો. New Windows 7: Find the right PC for you. Learn more. A HAPPY NEW YEAR IN "M A R C H "
Have you been in a neighborhood park during one of these days ? If not, just spare some time, preferably in the morning around seven. 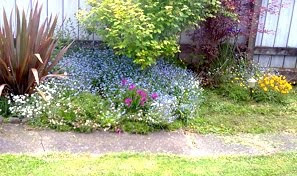 You will find plants laden with colorful flowers, trees shedding old, dry leaves and beginning to adorn fresh new ones, and the divine morning breezeenergizing every mind, body and soul. There is transformation for the good all around. The Mother Nature is at Her cheerful best to celebrate and welcome theupcoming new year. A new year ? In March ? Yes ! 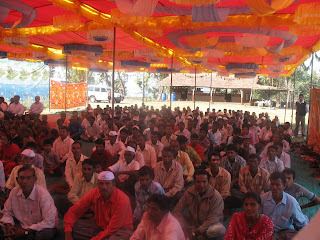 THE HINDU NEW YEAR. Exactly fifteen days after HOLI celebrations, comes the first day of the HINDU CALENDER – VIKRAM SAMVAT named after the legendary King Vikramaditya who ushered in the golden era of the Indian history. 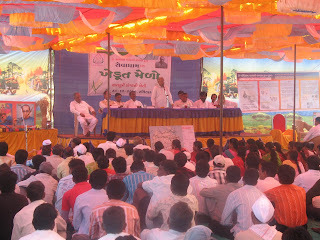 So, on 16th March of 2010 AD, we enter into the first day of the first month i.e. CHAITRA of Vikram Samvat 2067. This day signifies a "NEW AUSPICIOUS BEGINNING" in the true sense andnot merely a change of date. This day was chosen by the wiserly to coronate LORD RAM on the throne of Ayodhya after HE had laid to rest, permanently, the terrorism unleashed by demon king Ravan. In the modern times, Swami Dayanand laid the foundation of the ARYA SAMAJ on this day, to infuse new vitality in the Hindu society. NAVRATRA celebrations also begin on this very day marked by seven days of fasting---a scientific way of switchover of dietary pattern from winter to summers. I wish you and your family a Nav Samvat full of peace and prosperity. Let us resolve to align our New Year festivities with Vikram Samvat and I promise, you aren't going to be alone----NATURE IS WITH YOU. Windows 7: Find the right PC for you. Learn more. A man feared his wife wasn't hearing as well a s she used to and he thought she might need a hearing aid. Not quite sure how to approach her, he called the family doctor to discuss the problem. The doctor told him there is a simple test the he could perform to give the doctor a better idea about her hearing loss. "Here's what you do," said the Doctor, "stand about 40 feet away from her, and in a normal conversational speaking tone see if she hears you. If not, go to 30 feet, then 20 feet, and so on until you get a response." That evening, the wife is in the kitchen cooking dinner, and he was in the den. He says to himself, "I'm about 40 Feet away, let's see what happens." Then in a normal tone he asks, 'Honey, what's for dinner?" No response. So the husband moves to closer to the kitchen, about 30 feet from his wife and repeats, "Honey, what's for dinner?" Still no response. Next he moves into the dining room where he is about 20 feet from his wife and asks, "Honey, what's for dinner?" Again he gets no response. So, he walks up to the kitchen door, about 10 feet away. "Honey, what's for dinner?" Again there is no response. So he walks right up behind her. "Honey, what's for dinner?" "Good Lord, Ralph, are you deaf? I said for the FIFTH time, CHICKEN !" The year 2009 is now coming to a close, and it's time to take a look back over the past 12 months through photographs. Historic elections were held in Iran, India and the United States, some wars wound down while others escalated, China turned 60, and the Berlin Wall was remembered 20 years after it came down. Each photo tells its own tale, weaving together into the larger story of 2009. This is a multi-entry story, 120 photographs over three days. Please watch for part 2 and part 3 tomorrow and the next day. 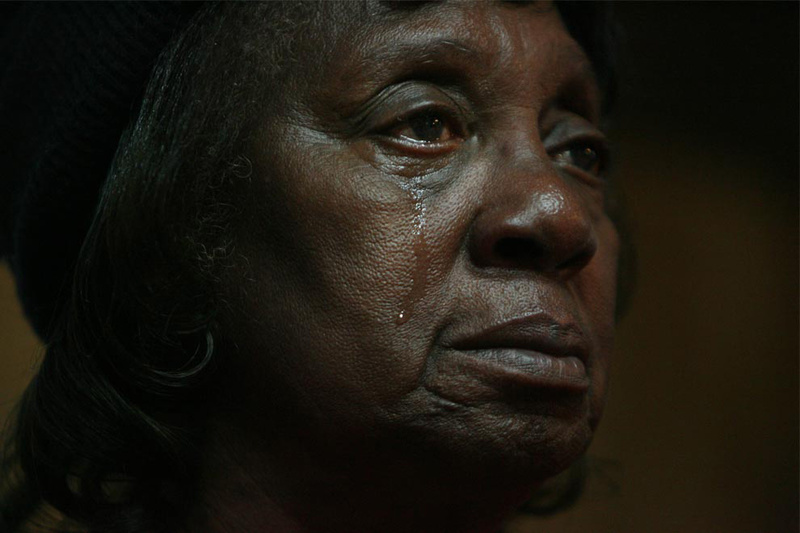 2.Vertie Hodge, 74, weeps during an Inauguration Day party near Martin Luther King, Jr. Blvd. 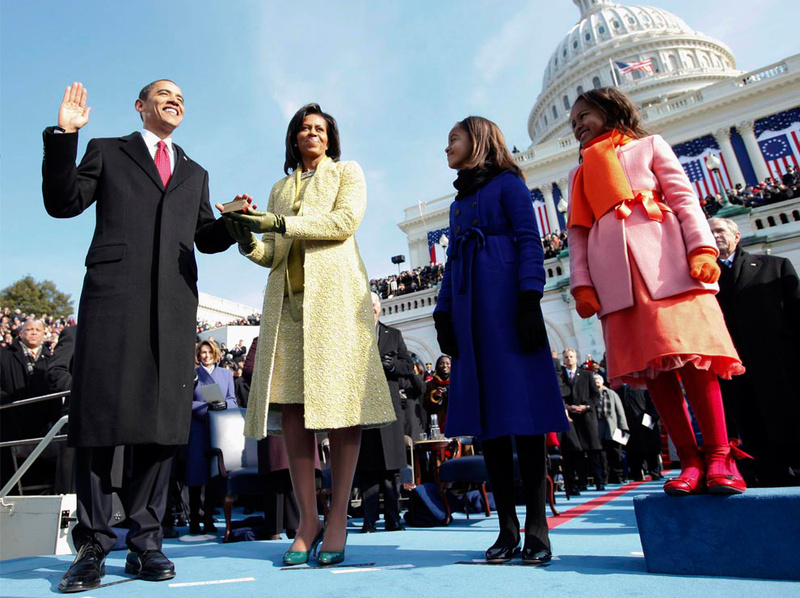 in Houston on Tuesday, Jan. 20, 2009 after President Barack Obama delivered his speech after taking the oath of office, becoming the first black president in the United States. 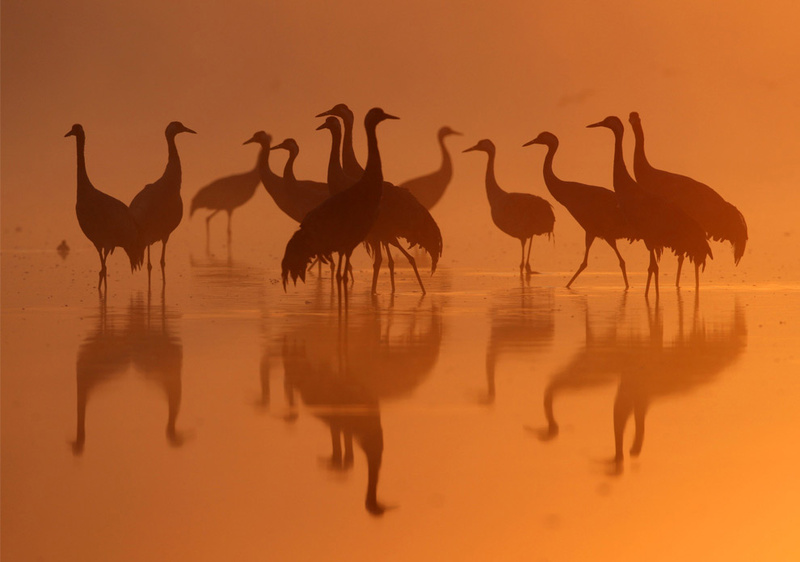 3.A group of Common Cranes gather in dawn light, on their night-roost on a lake in the German state of Brandenburg, close to Berlin September 26, 2009. From September to November tens of thousands of Cranes use the rural area close to the German Capital for a stopover during their migration from Scandinavia and Eastern Europe to their wintering quarters in Spain. 4.Soldiers from the U.S. Army First Battalion, 26th Infantry take defensive positions at firebase Restrepo after receiving fire from Taliban positions in the Korengal Valley of Afghanistan's Kunar Province, in this May 11, 2009 file photo. Spc. Zachery Boyd of Fort Worth, TX, far left was wearing "I love NY" boxer shorts after rushing from his sleeping quarters to join his fellow platoon members. From far right is Spc. Cecil Montgomery of Many, LA and Jordan Custer of Spokane, WA, center. 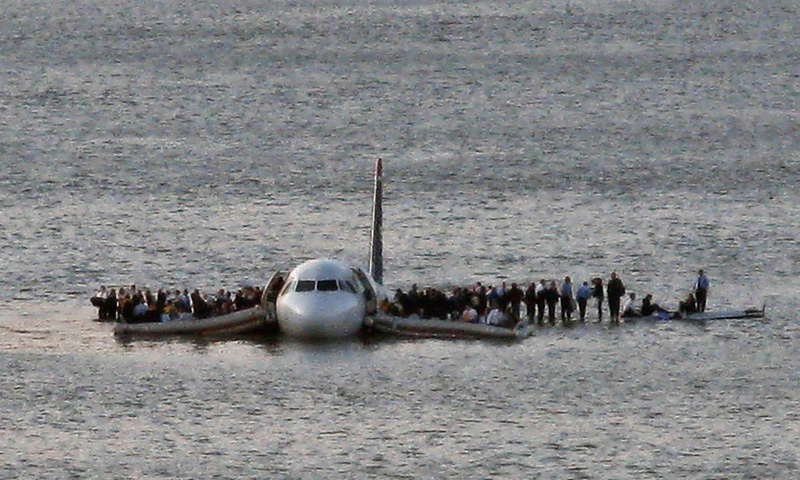 5.Airline passengers wait to be rescued on the wings of a US Airways Airbus 320 jetliner that safely ditched in the frigid waters of the Hudson River in New York, after a flock of birds knocked out both its engines on January 15, 2009. 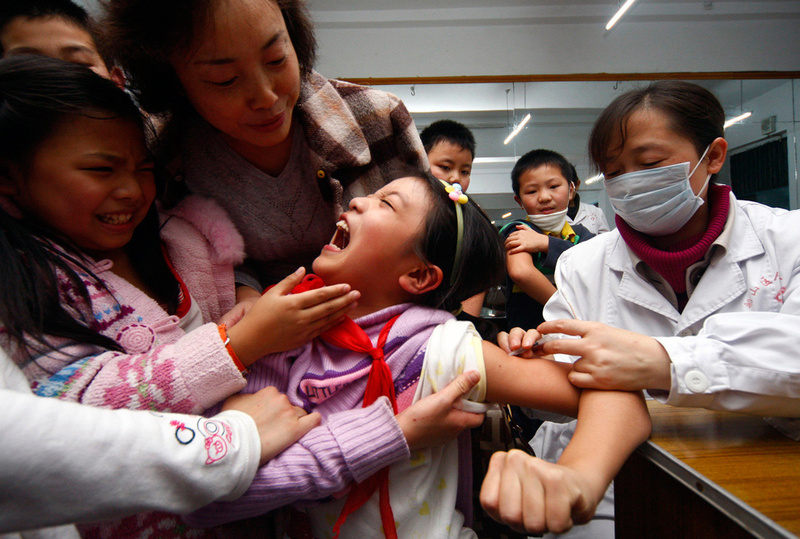 6.A student receives a H1N1 vaccine injection at a hospital in Suining, Sichuan province November 11, 2009. 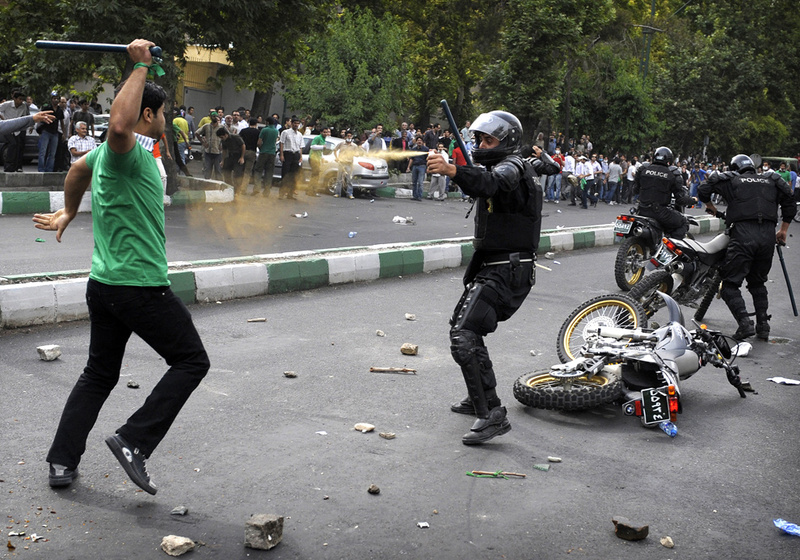 8.A Iranian riot-police officer sprays tear-gas at a supporter of defeated Iranian presidential candidate Mir Hossein Mousavi attacking him with a police stick during riots in Tehran on June 13, 2009. 8.A frame grab from YouTube shows a woman identified as Neda Agha-Soltan lying on the ground after being shot in the chest in Tehran, Iran June 20, 2009. Iranians on social networking sites called for mourning for "Neda", a young woman shot dead on Saturday. 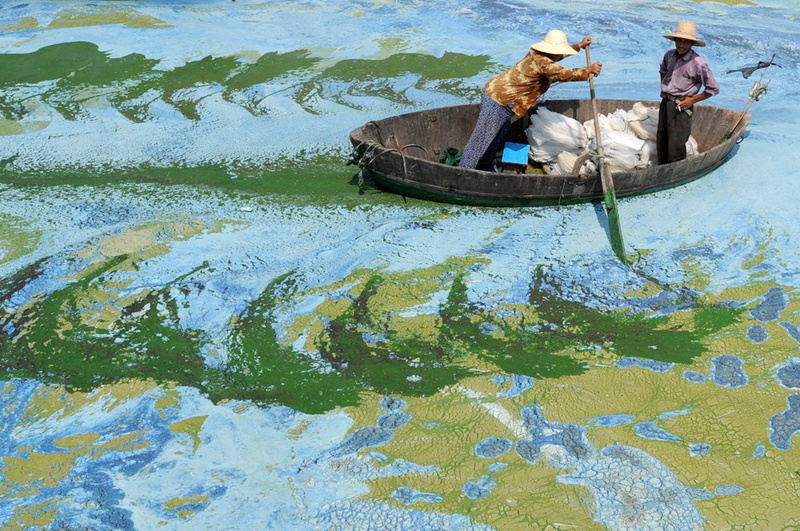 9.Fishermen row a boat in the algae-filled Chaohu Lake in Hefei, Anhui province, China on June 19, 2009. China invested 51 billion yuan ($7.4 billion) towards the construction of 2,712 projects for the treatment of eight rivers and lakes in 2009, Xinhua News Agency reported. 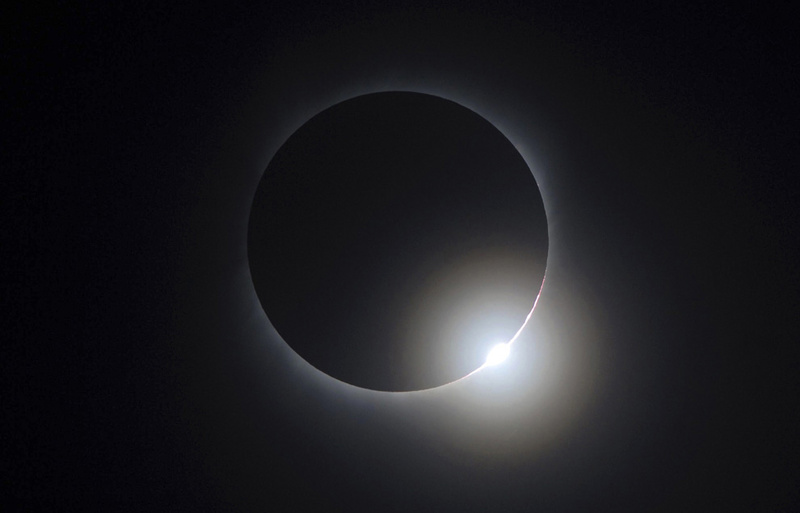 10.The moon passes between the sun and the earth, nearing a total solar eclipse, as seen in Changsha, Hunan province, China on July 22, 2009. 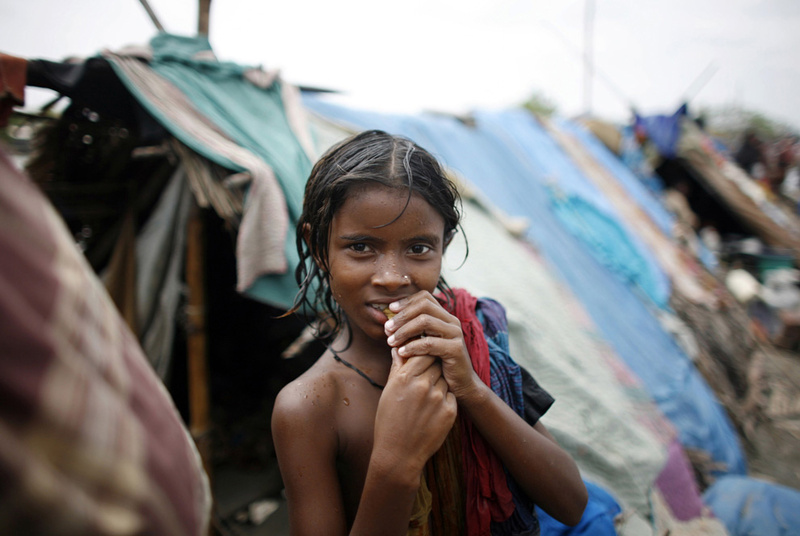 11.A girl displaced from her home by a huge tidal wave caused by Cyclone Aila, stands in front of her temporary shelter on a river dam in Satkhira in southwestern Bangladesh June 2, 2009. 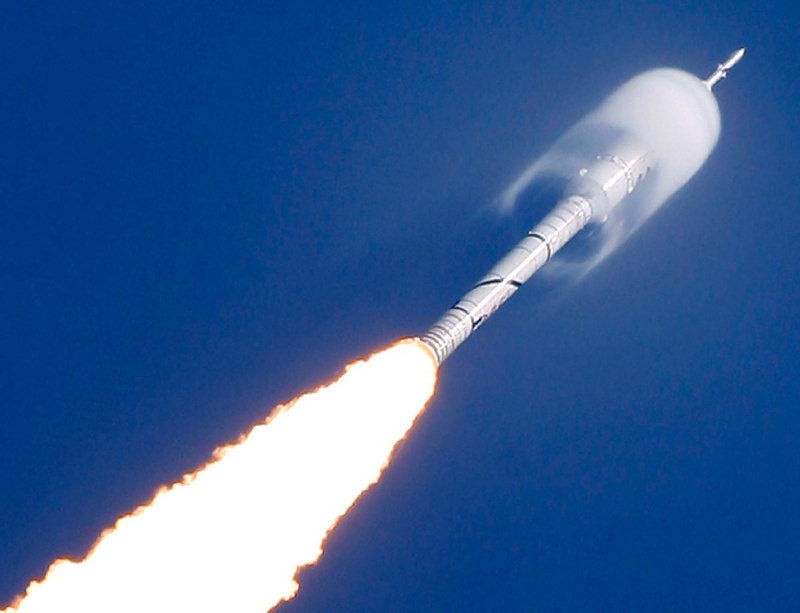 12.A cone of moisture surrounds part of the Ares I-X rocket during lift off Wednesday, Oct. 28, 2009, on a sub-orbital test flight from the Kennedy Space Center's Launch Pad 39-B in Cape Canaveral, Fla.
13.Riot police contain supporters of Mozambique's national soccer team after their World Cup 2010 qualifying soccer match against Kenya in Maputo, September 6, 2009. 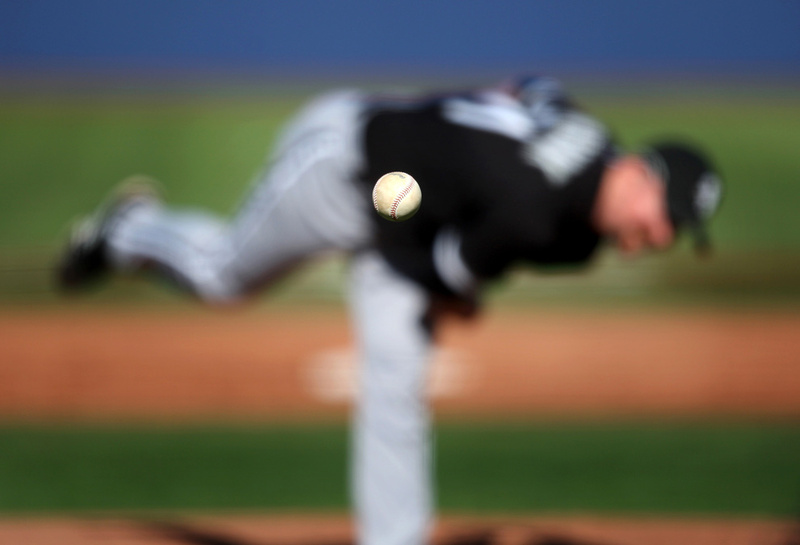 14.Chicago White Sox pitcher Scott Linebrink delivers a pitch against the Chicago Cubs during the fifth inning of a spring training baseball game in Las Vegas, in this March 5, 2009 photo. 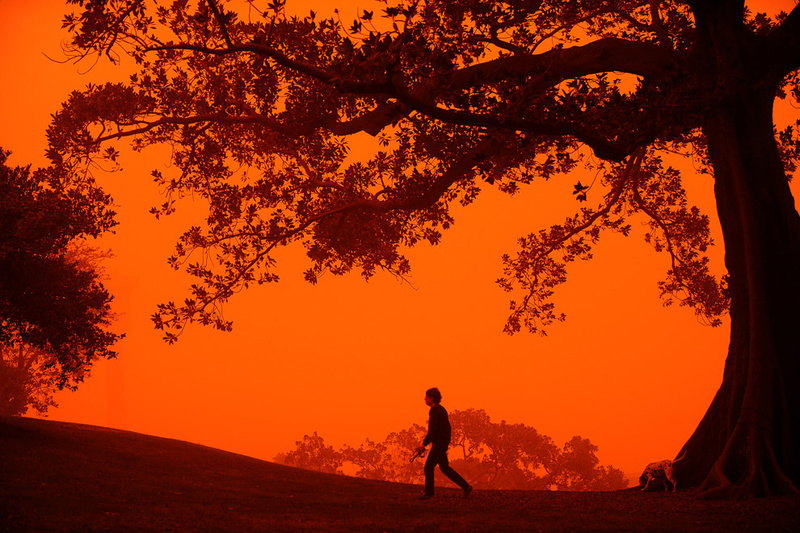 15.A man walks his dog through Observatory Hill near Sydney on September 23, 2009 as Australia's biggest city is shrouded in an eerie blanket of red dust. Sydney's cars and buildings turned orange as strong winds blew desert dust across the city, snarling commuter and air transport and prompting a warning for children and the elderly to stay indoors. 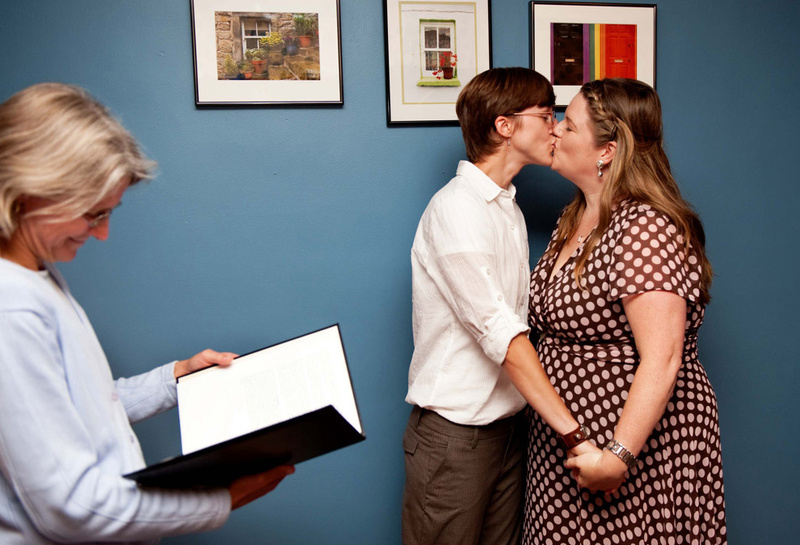 16.Claire Williams, right, and Cori Giroux kiss as they wed at the stroke of midnight in South Burlington, Vermont, on September 1, 2009 - the first day that Vermont's marriage equality law went into effect. 17.Brazilian Formula One driver Felipe Massa of Scuderia Ferrari is carried from his car after being struck in the head by a piece of bodywork that fell from another car during the qualifying session at the Hungaroring race track in Mogyorod near Budapest on July 25, 2009. 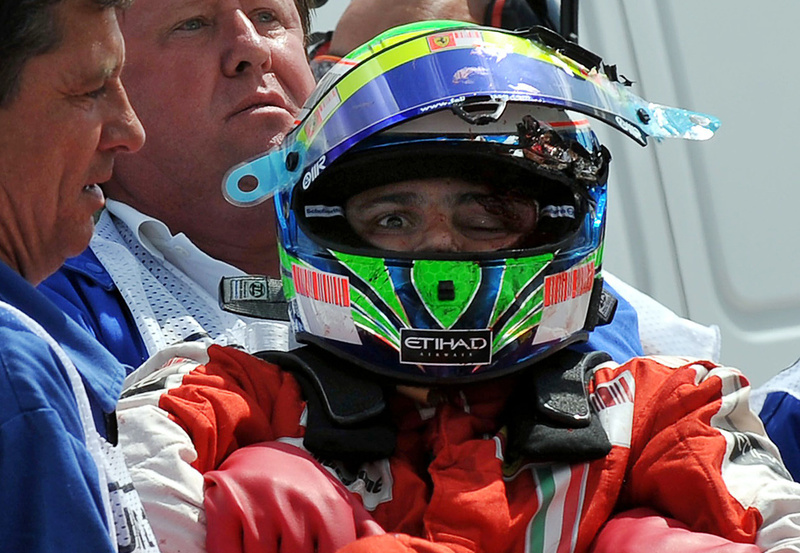 Massa was airlifted to hospital and underwent surgery on his fractured skull. 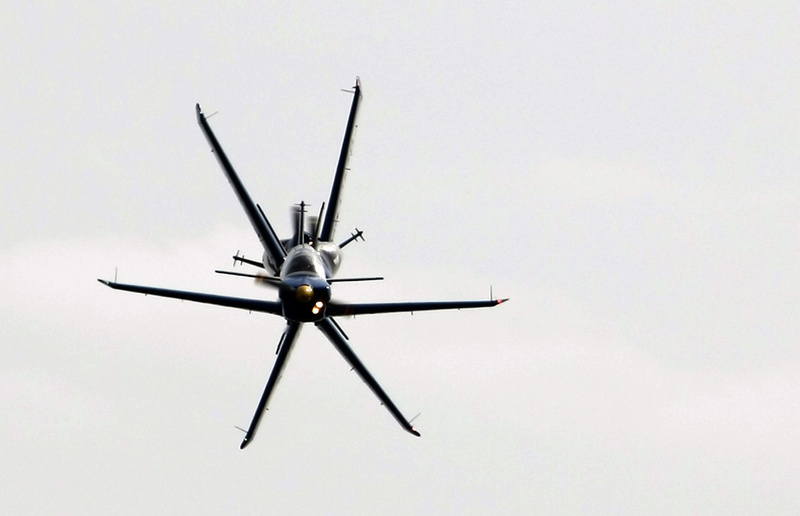 18.French aerobatic team "Cartouche Dore" flies in formation near Aix-en-Provence, southern France. 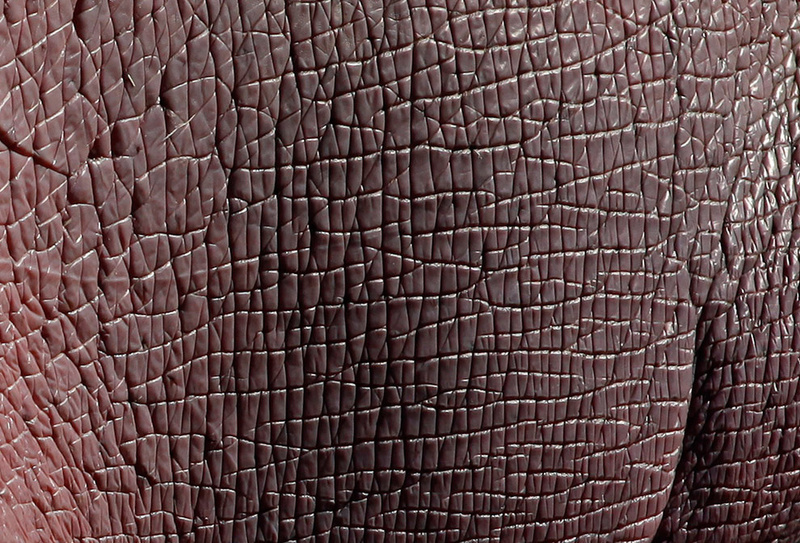 19.The sun shines on the skin of a hippo in its enclosure in the Zoo in Berlin, Friday, April 3, 2009. 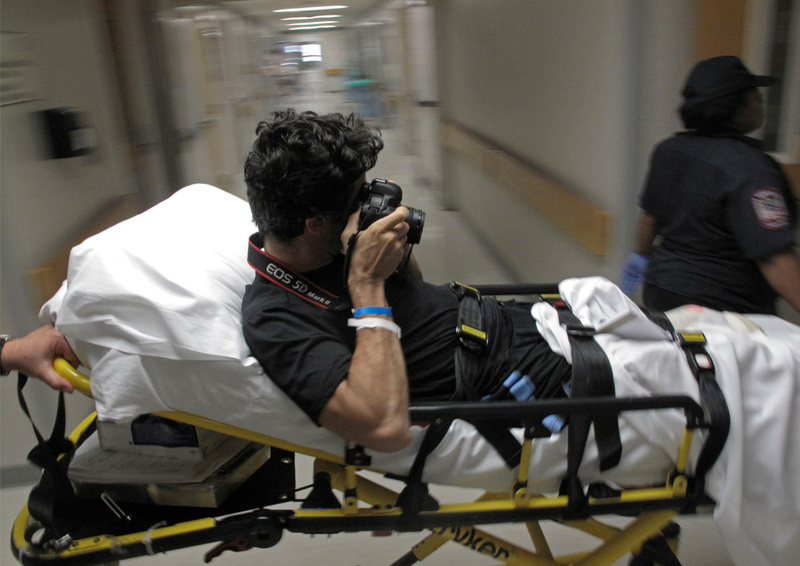 20.AP photographer Emilio Morenatti takes pictures as he is carried on a stretcher out of the University of Maryland Medical Center's R Adams Cowley Shock Trauma Center to be transferred to the Kernan Orthopaedics and Rehabilitation Hospital in Baltimore, Tuesday Aug. 25, 2009. Morenatti, whose left foot was amputated after a bomb blast in Afghanistan, was transferred Tuesday to a rehabilitation hospital in Baltimore, where he will be fitted for a prosthesis. 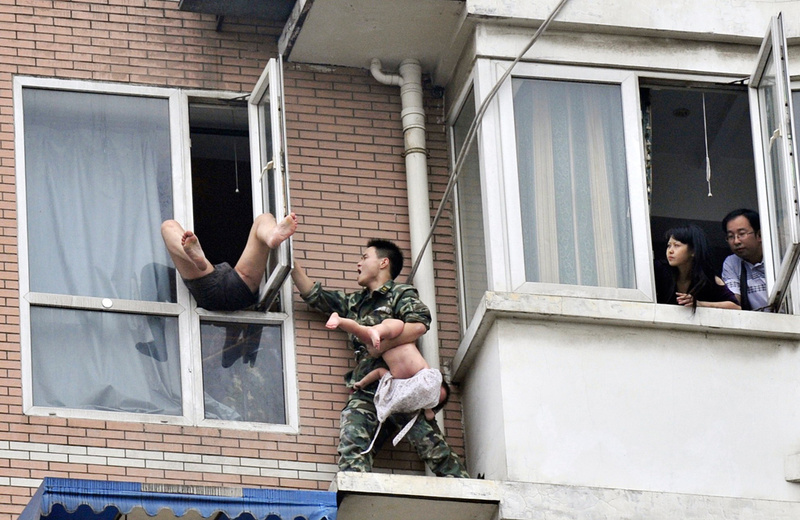 21.A rescuer holding a two-year-old child tries to close a window on the girl's suicidal father who is trying to jump from the eighth floor of an apartment block in Chengdu, Sichuan province, July 7, 2009. Rescuers managed to distract the man while another snatched the girl and brought her to safety. The man, who later tested positive for drugs, was arrested and taken into custody, according to China Daily. 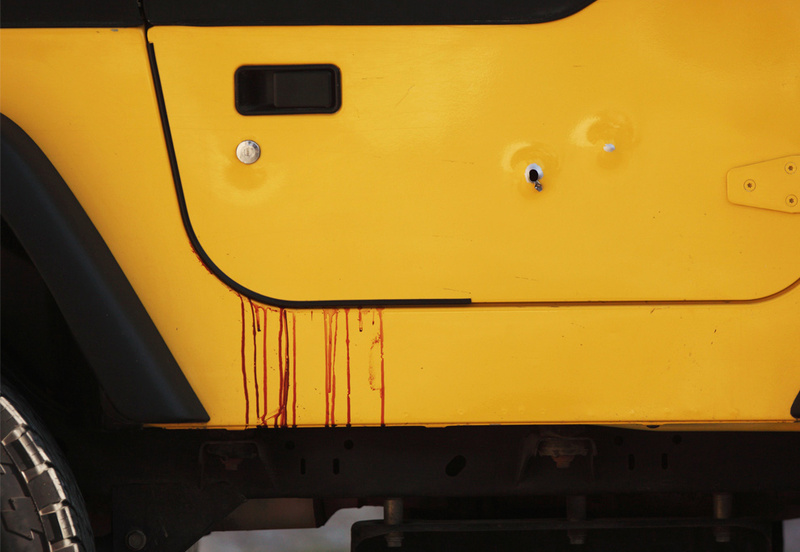 22.Blood and bullet holes are seen on a car door after an unidentified man was murdered in Tijuana, northern Mexico, Wednesday, Aug. 19, 2009. 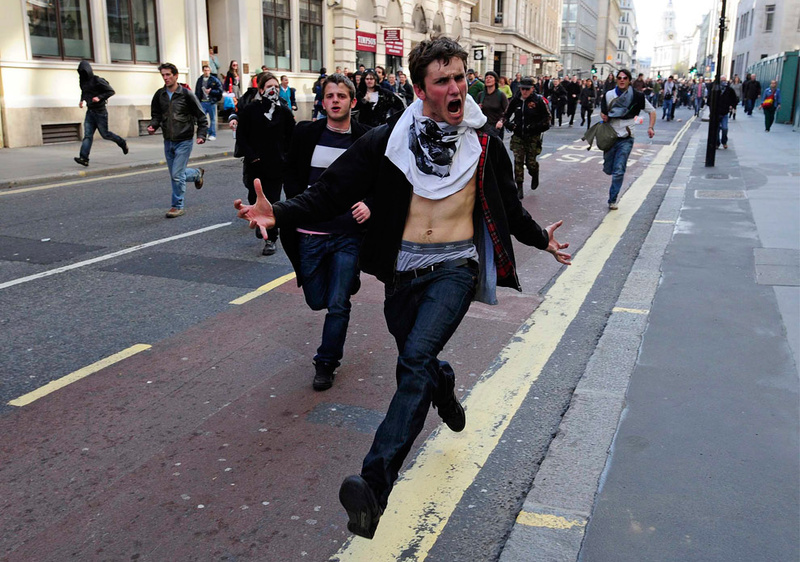 23.Demonstrators charge through a street in London during protests to coincide with Thursday's G20 summit meeting April 1, 2009. Demonstrators clashed with riot police and smashed bank windows in Britain's financial centre on Wednesday ahead of a G20 meeting in protest against a system they said had robbed the poor to benefit the rich. 24.Australian surfer Mark Visser surfs an 11 m (36 ft) wave at Cow Bombie, near the West Australian town of Gracetown, 280km (174 mi) south of Perth, Australia in this photograph obtained September 28, 2009. 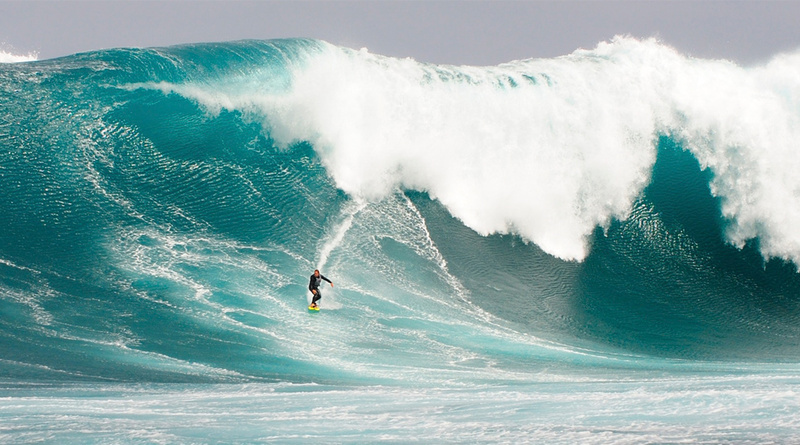 The organisers claim that Visser had caught one of the biggest waves in Australia for 2009. 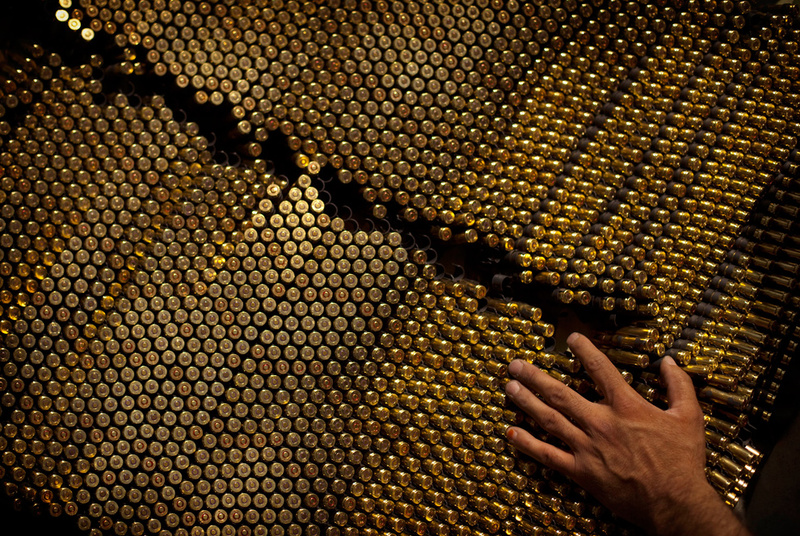 25.Rows of 7.62 mm bullets are shown, ready to be shot by Afghan National Army recruits as part of their daily training at the Kabul Military Training Center in Kabul, Afghanistan on July 19, 2009. A massive effort is underway to train thousands of new troops to join the fight against the vicious Taliban-led insurgency. 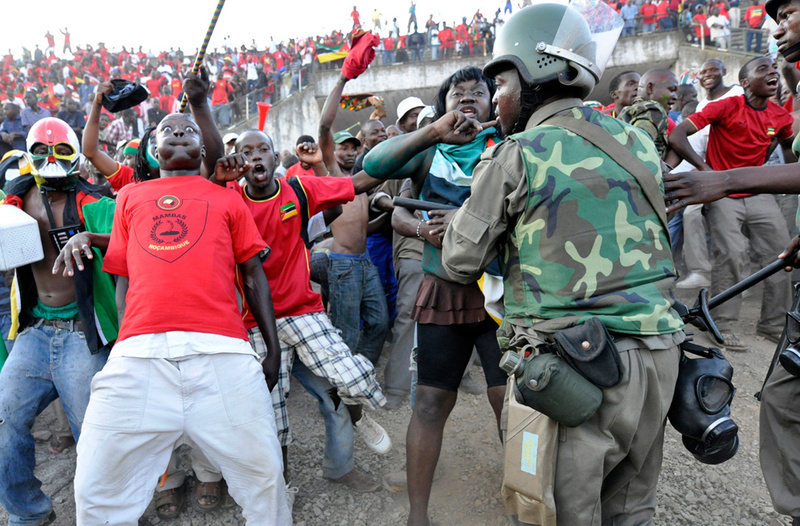 But the task is hobbled by the lack of mentors and high levels of illiteracy among the recruits. 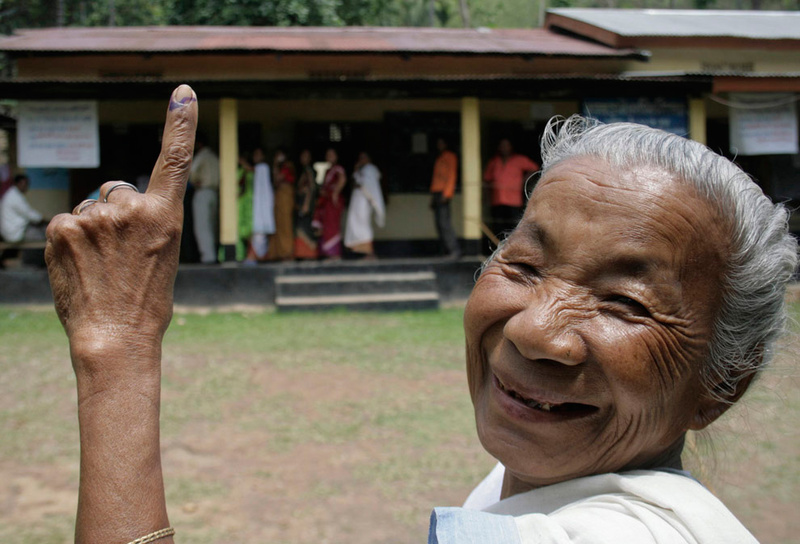 26.A woman shows her ink-marked finger after casting her vote at a polling station in Sonapur, about 50 km (31 miles) from Guwahati, the major city of India's northeastern state of Assam April 23, 2009. Millions of Indians, including Prime Minister Manmohan Singh, voted in the largest democratic election in the world. 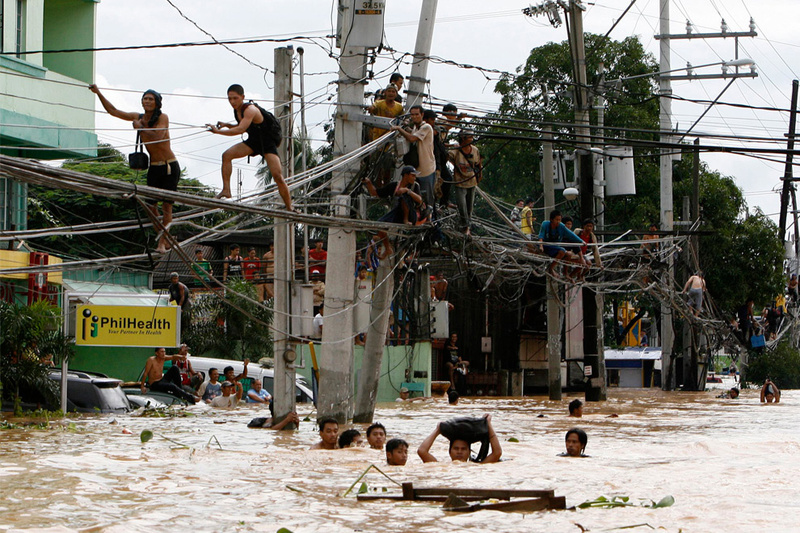 27.Residents stand on electric wires to stay on high ground while others wade in neck-deep flood waters caused by Typhoon Ondoy in Cainta Rizal, east of Manila September 27, 2009. 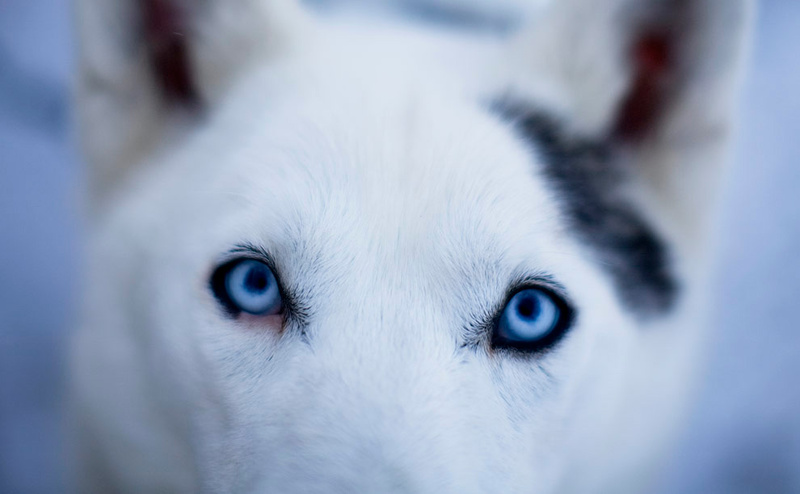 28.A Dog belonging to Rhonda O'Hearn of Sandown, New Hampshire waits before the start of a 60-mile race at the Can-Am Crown sled dog races in Fort Kent, Maine on Saturday, February 28, 2009. 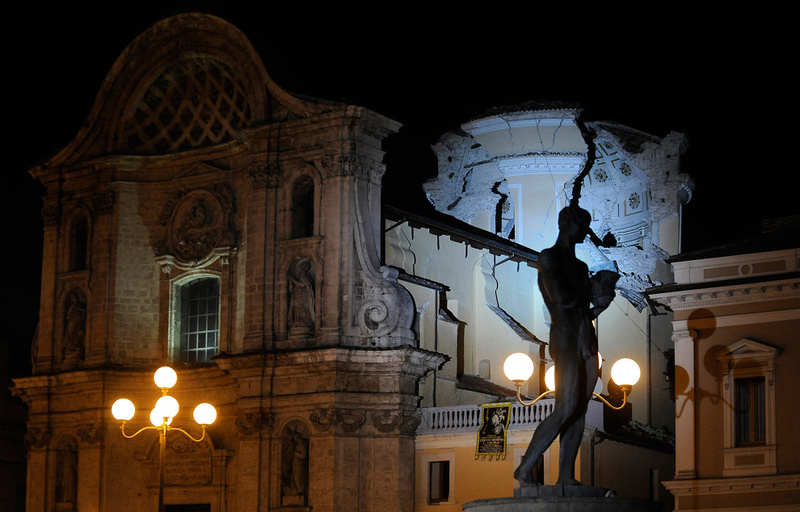 29A view of Santa Maria del Suffragio church, severely damaged after an earthquake on April 7, 2009 in the Abruzzo capital L'Aquila, Italy. 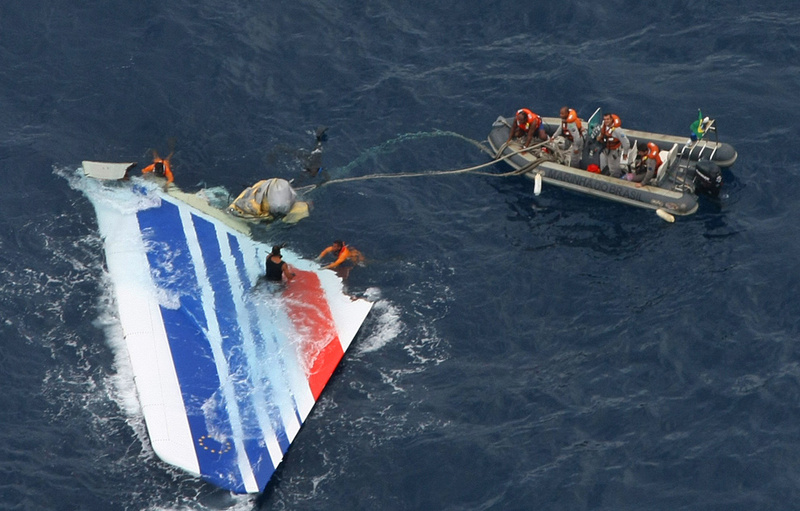 30.Handout picture released June 8, 2009 by the Brazilian Navy showing divers recovering a huge part of the rudder of the Air France A330 aircraft lost in midflight over the Atlantic ocean June 1st. At the time, seventeen bodies had been recovered from the Atlantic where an Air France jet came down. 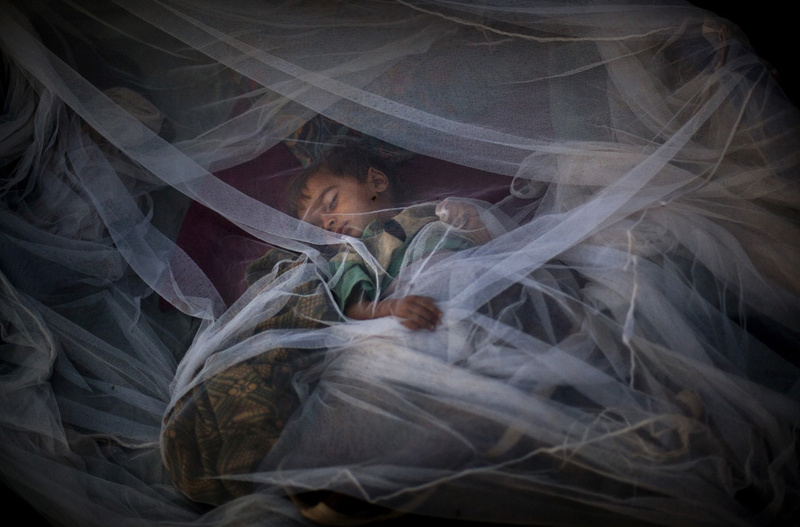 31.A Pakistani displaced boy from Swat valley sleeps under a mosquito net outside his tent at the Jalozai refugee camp near Peshawar, Pakistan, Tuesday, May 26, 2009. 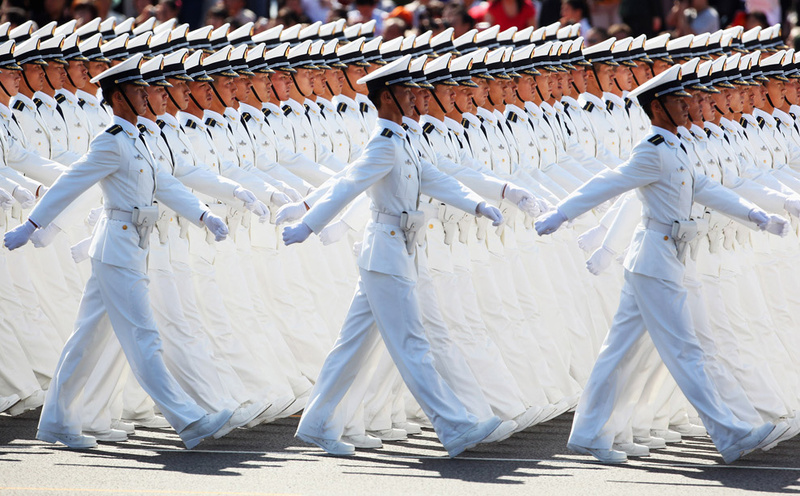 32.Chinese People's Liberation Army (PLA) sailors march pass Tiananmen Square during the celebration of the 60th anniversary of the founding of the People's Republic of China on October 1, 2009 in Beijing, China. 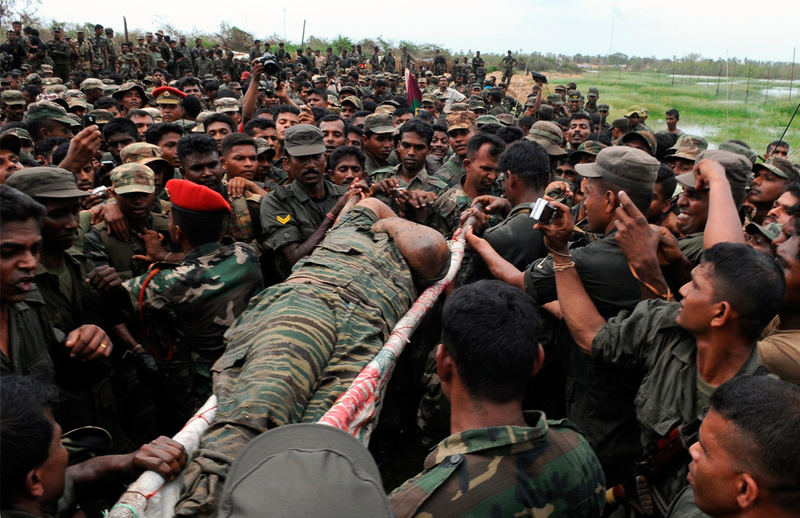 33.The body of Liberation Tigers of Tamil Eelam (LTTE) leader Vellupillai Prabhakaran is carried on a stretcher through a group of Sri Lankan soldiers at Nanthikadal lagoon, near the town of Mullaittivu in northern Sri Lanka May 19, 2009. Sri Lanka's army chief said Tamil Tiger leader Prabhakaran's body was found on Tuesday, and Sri Lankan TV stations aired video of what appeared to be his corpse, with the top of its head blown off. 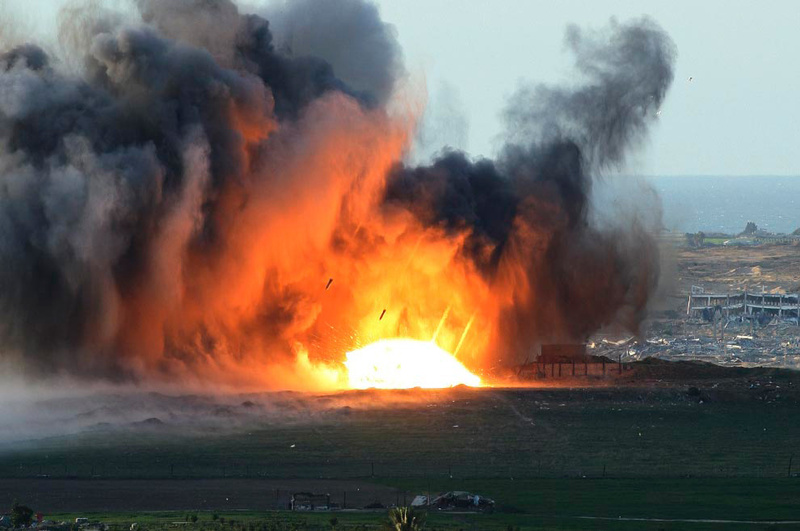 34.An explosion is seen as missiles fired from an Israeli aircraft fall towards a target in the northern Gaza Strip, as seen from the Israeli side of the border, Thursday, Jan. 1, 2009. 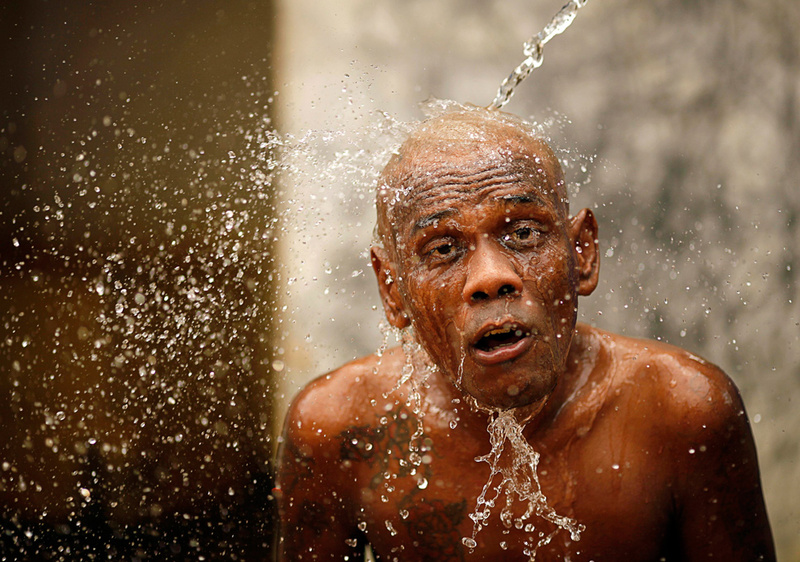 35.A mental patient named Totok reacts as he is given a shower at the Galuh foundation house in East Bekasi, outskirt of Jakarta, Indonesia on October 23, 2009. The Galuh foundation house has housed more than 285 underprivileged mental patients since it was founded in 1982 by Gendu Mulatip. 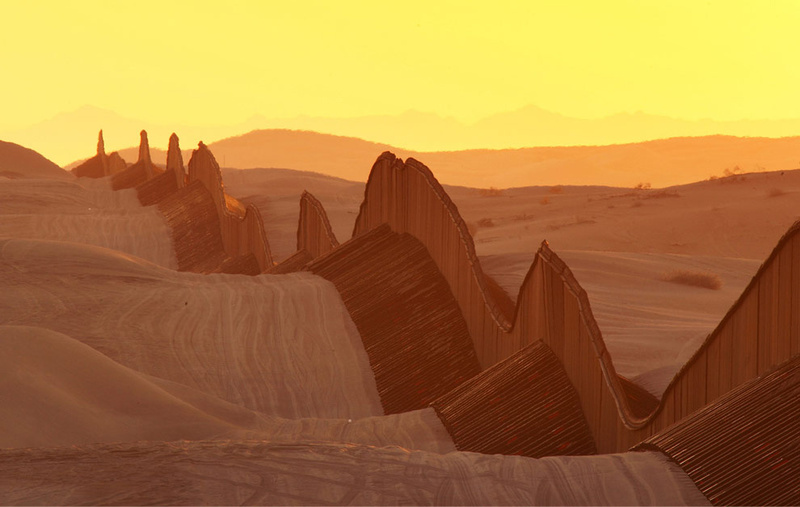 36.A recently constructed section of the controversial US-Mexico border fence expansion project crosses previously pristine desert sands at sunrise on March 14, 2009 between Yuma, Arizona and Calexico, California. The new barrier between the US and Mexico stands 15 feet tall and sits on top of the sand so it can lifted by a machine and repositioned whenever the migrating desert dunes begin to bury it. The almost seven miles of floating fence cost about $6 million per mile to build. 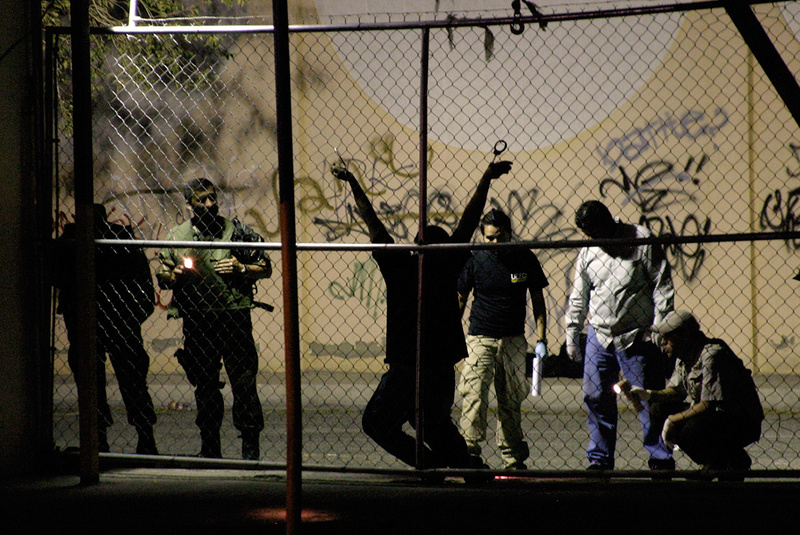 37.Military and forensic experts inspect the body of a man who was killed outside a nightclub in the border city of Ciudad Juarez, Mexico on August 31, 2009. A man was handcuffed to a fence and shot several times by drug hitmen outside a nightclub, according to local media. The assailants also left a warning message, known as "narco mensaje", at the site of the shooting. 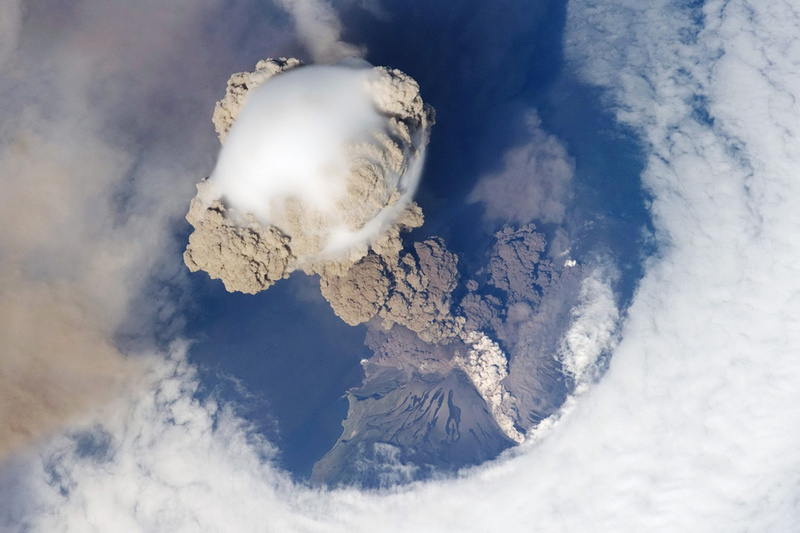 38.A view taken from the International Space Station of the Sarychev Volcano on the Kuril Islands in an early stage of eruption on June 12, 2009. 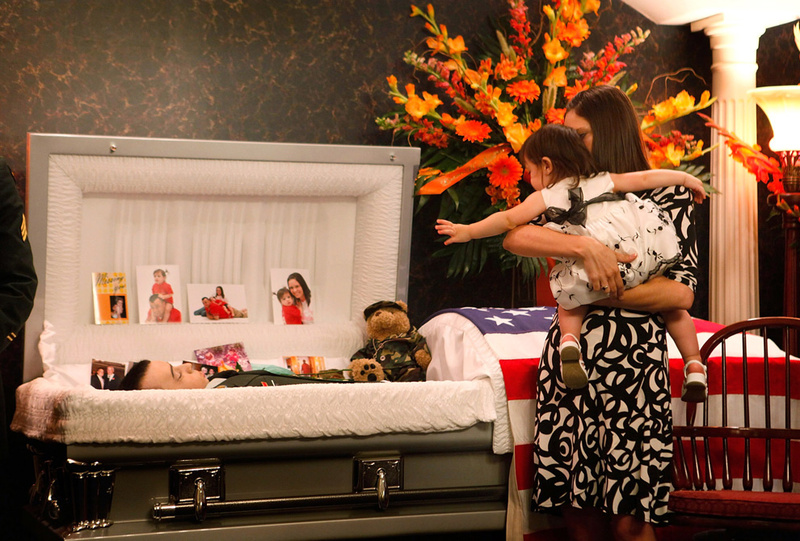 39.Sixteen-month-old Aubrey Melton reaches for her father SSG Josh Melton as she views his remains with her mother Larissa before his funeral service June 27, 2009 in Germantown, Illinois. SSG Melton, who was serving in Afghanistan with the Illinois National Guard, was killed in Kandahar during an IED attack June 19. 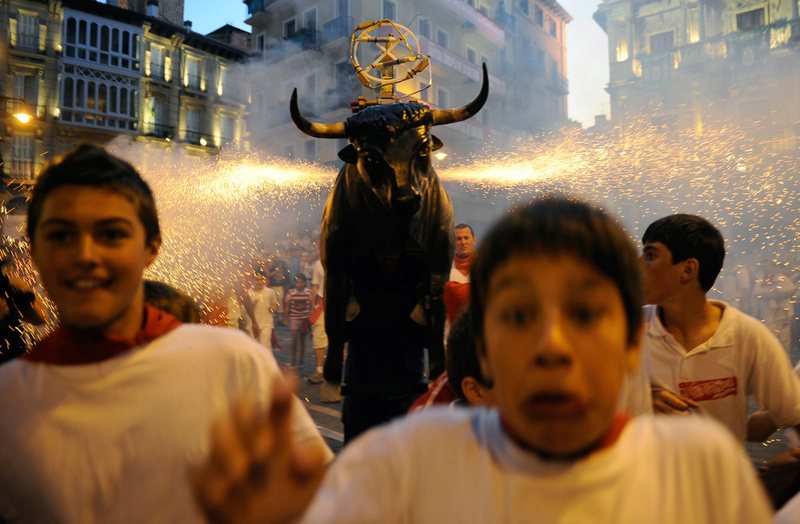 40.Young revellers run from the "Fire Bull", a man carrying a metal structure loaded with fireworks, at the San Fermin festival in Pamplona, Spain on July 12, 2009. God : Hello. Did you call me? Me: Called you? No.....who is this? God : This is GOD. I heard your prayers. So I thought I will chat. Me: I do pray. Just makes me feel good. I am actually busy now. I am in the midst of something. God : What are you busy at? Me: Don't know. But I cant find free time. Life has become hectic. It's rush hour all the time. God : Well I wanted to resolve your fight for time, by giving you some clarity. In this next era, I wanted to reach you through the medium you are comfortable with. Me: Tell me, why has life become complicated now? God : Stop analyzing life. Just live it. Analysis is what makes it complicated. Me: Why are we then constantly unhappy? God : Your today is the tomorrow that you worried about yesterday. You are worrying because you are analyzing. Worrying has become your habit. That's why you are not happy. Me: But how can we not worry when there is so much uncertainty? God : Uncertainty is inevitable, but worrying is optional. God : Pain is inevitable, but suffering is optional. Me: If suffering is optional, why do good people always suffer? God : Diamond cannot be polished without friction. Gold cannot be purified without fire. Good people go through trials, but don't suffer. With that experience their life becomes better not bitter. Me: You mean to say such experience is useful? God : Yes. In all terms, Experience is a hard teacher. She gives the test first and the lessons afterwards. Me: But still, why should we go through such tests? Why cant we be free from problems? God : Problems are Purposeful Roadblocks Offering Beneficial Lessons (to) Enhance Mental Strength. Inner strength comes from struggle and endurance, not when you are free from problems. God : If you look outside you will not know where you are heading. Look inside. Looking outside, you dream. Looking inside, you awaken. Eyes provide sight. Heart provides insight. Me: Sometimes not succeeding fast seems to hurt more than moving in the right direction. What should I do? God : Success is a measure as decided by others. Satisfaction is a measure as decided by you. Knowing the road ahead is more satisfying than knowing you rode ahead. You work with the compass. Let others work with the clock. Me: In tough times, how do you stay motivated? God : Always look at how far you have come rather than how far you have to go. Always count your blessing, not what you are missing. Me: What surprises you about people? God : When they suffer they ask, "why me?" When they prosper, they never ask "Why me". Everyone wishes to have truth on their side, but few want to be on the side of the truth. Me: Sometimes I ask, who am I, why am I here? I cant get the answer. God : Seek not to find who you are, but to determine who you want to be. Stop looking for a purpose as to why you are here. Create it. Life is not a process of discovery but a process of creation. Me: How can I get the best out of life? God : Face your past without regret. Handle your present with confidence.Prepare for the future without fear. Me: One last question. Sometimes I feel my prayers are not answered. God : There are no unanswered prayers. At times the answer is NO. Me: Thank you for this wonderful chat. I now have a new sense of inspiration. God : Keep the faith and drop the fear. Don't believe your doubts and doubt your beliefs. Life is a mystery to solve not a problem to resolve. Trust me. Life is wonderful if you know how to live. Who is supporting terrorist activities in Kerala?